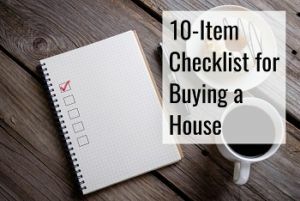 On a scale of one to ten, how conscious are you about the appearance of your home? Most homeowners would give themselves a high score. Nobody wants a home that looks like a pigsty, or a setting for a slash-and-gore movie, right? If you pride yourself with how clean your home looks, suddenly seeing marks and dripping water on your ceiling is enough to make you scream in frustration. This is something a lot of homeowners get in their own homes. And in most cases, it is a problem that sends one into a panic. And once they do, they forget what they need to do first. A common mistake that homeowners do is underestimate a leaky ceiling and don’t have it repaired early on. They think that it is just something that happens and it can be solved by giving it a fresh coat of paint. Then, they get surprised when the marks reappear after just a short while. Because of it, they’re stumped and have no idea what to do next. Is Water Dripping and Leaking from the Ceiling? 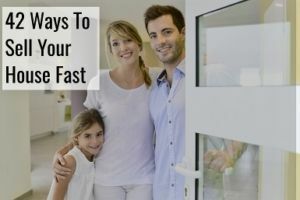 If this is something you’re dealing with, or you just want to be prepared in case it happens to you, this article will be very helpful to you. The water stains you see on your ceiling? These are generally caused by leakage. Pinpointing the exact origin of the leak would be a bit more challenging, since there are a lot of possible sources for it. If you noticed that the water is only dripping down when it rains, it is most likely due to a leaky roof. But if you have a constantly leaky ceiling, it would be much harder to diagnose. It can be an issue with a pipe or your entire plumbing system, a problem with your bathroom or kitchen, a faulty appliance, etc. There are a number of possibilities for it. By knowing these facts, you can help narrow down the likeliest source of your ceiling leak. But whether or not you see water dripping down, it’s always the wisest decision not to touch the problematic ceiling, especially if you have electrical fixtures installed on it, and get a professional to take care of it. Leaks in general, including those that happen in your basement, ceiling, or roof, should never be belittled. A lot of people have this mindset that they can just live with it – what’s a little inconvenience of getting buckets and rags and mops compared to the amount they need to get it fixed? They don’t want to spend money on repairs, thinking that it’s such a waste or it’s going to be too expensive. They would rather use it for other purposes, not knowing that they will still eventually have to face the problem of water leakage in their home especially when it has taken a turn for the worse. As a result, they end up spending more than what they would have paid for if they got it fixed as soon as they discovered the leak. Instead of a simple repair worth $100, they get billed $10,000 for repairing the same leak AND getting the water-damaged parts and structures of their homes fixed and replaced. But, the effects of a water leak don’t stop there. If you have a leaky ceiling, it can be dangerous, especially if you leave it alone for a very long time. You’re looking at potential fires, injuries, electric shocks, infestations, and collapsed ceilings, among others. Whether you use plywood or drywall for your ceiling, they are both at risk of suddenly collapsing in the future if they get exposed to water for far too long. Plywood can rot, while drywall can soften up. Before leaks can drip down, all that water will first settle on the ceiling. Not all that water will leak down, as most of it will stay and be absorbed by the ceiling itself. This is why in most cases, the water leaking from your ceiling indicates that it is incapable of absorbing anymore water. When this happens, it is only a matter of time before your ceiling is unable to handle its own weight, including that of the water that has accumulated, and collapse. It doesn’t matter if only the waterlogged portion or the entire ceiling will fall – both are equally dangerous. Pests, such as cockroaches, mice, termites, and rats, love to make a home out of damp and dark spaces. And when you have a leaky ceiling, it’s a perfect nesting ground for them. When they start occupying your ceiling, it won’t take long until they reproduce. The bad news is, they will reproduce rapidly and if it you don’t take measures to stop them, expect a full-blown pest infestation in the future. We’re talking about finding them inside your home as well, not just confined to your ceiling. These pests can always find ways to reach other parts of your home. Pests are not the only thing you should watch out for if you have a ceiling leak. You also need to be wary of molds appearing, because they also thrive best in those conditions. Studies have shown that 100% of homes have mold. Yes, even the cleanest home in the entire world has mold lurking somewhere. Mold spores are everywhere, and we get constantly exposed to them wherever we go. But before this makes you panic and call a mold removal service asap, not seeing or smelling them anywhere at home means that you’re still safe and there is no cause yet for concern. 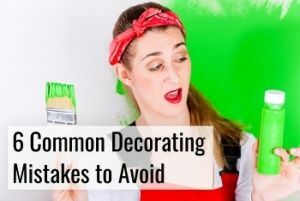 But once you see them growing on your walls, ceilings or other surfaces, or at least smell something earthy or musty inside your home even without actually seeing them, that’s the time to call in the professionals. While it’s common knowledge that black mold is normally considered as toxic, all molds should actually be treated as such. Even molds of other colors like red, orange, purple, or green, should still be handled as if they are noxious. 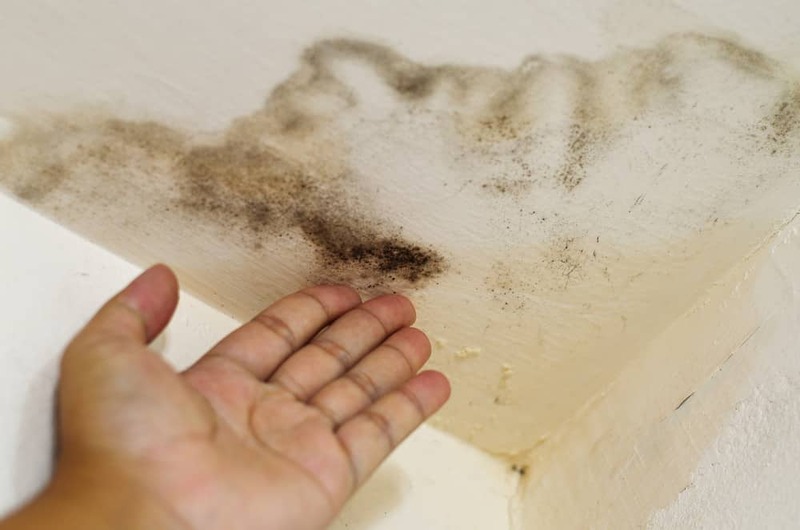 Molds, regardless of type, can affect the health of anyone living in a mold-infested home. And since mold spores travel through air, exposure is still inevitable even if you stay on the highest floor of your home and the mold growth is confined to your basement. These spores will travel through your HVAC system and reach different parts of your home. Potential health issues are not the only ones that you need to watch out for when molds are involved. They will grow on moist surfaces, and removing them is not easy. 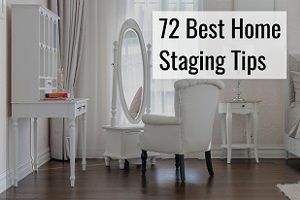 More often than not, you need to have those infested sections, such as walls, ceilings, and even furniture, removed and replaced with new ones. And to make sure that the mold infestation doesn’t repeat anytime soon, you can also ask professionals to test your home for molds and see if the current level is something you need to worry about and what you can do about it. It may not make a lot of sense at first, but water can start a house fire. This is true for ceiling leaks, especially those that have electrical fixtures installed. You’re probably wondering about how water can do this. In fact, you might even ask yourself if this is true, because as far as we know, water isn’t flammable like gasoline. This is true – water doesn’t directly start fires. What it does is indirectly cause it, particularly when it comes into contact with electrical wiring. When electrical wiring is exposed and water seeps into it, it will cause a short circuit and this is what can start a fire. Don’t count out unexposed wiring though, as water can corrode copper ones. This corrosion can cause various electrical problems, again resulting in short circuits. Water coming into contact with electrical wiring can also cause them to overheat. This is because the circuit will produce more current, which leads to those wiring generating more heat. When the heat is too much, this can also start a fire. An electric shock is something we all experience at some point. When you have a ceiling that has a leakage present, the chances of getting shocked are magnified, especially when water is dripping near a light fixture or any other electrical appliance. Never assume that the water leaks won’t affect the switches of the fixtures installed on a leaky ceiling. Not a lot of homeowners know that water leaks may compromise the switches of the electrical wiring affected by the leak. Touching a compromised switch can also give you an electric shock. Or worse, electrocution can happen. Water can become electrically charged, and this is why you should avoid touching a leaking ceiling without cutting off power from the main breaker first. It’s hard to avoid any water-related accidents from happening in your home, because you don’t really see water that settled. That is, unless you try to look down on the floor with every step you take – which nobody really does. If your ceiling leaks, it may be a little easier to avoid accidents from happening if water is dripping down, because you already see where all that water is ending up. Still, the risk of getting into an accident is there. If you managed to live and tell the tale after getting into an accident, consider yourself lucky. Some people are not as fortunate and end up with fatal consequences. From all these, you should realize by now that having water leaks on your ceiling is a serious issue. Don’t focus on how the water stains look hideous. Prioritize fixing a leaky ceiling because of all the possible dangers involved, not just for aesthetic purposes. We know that water is clear and colorless. But, why is there brown water dripping down from your ceiling? You might wonder if the brown water you’re seeing is connected to your toilet plumbing lines. What a horrible thought, isn’t it? But fret not – brown water leaking from the ceiling is likely due to a roof leak and not coming from your sewer lines. In fact, brown water leakage only happens on ceilings that are directly under a roof. Roof leaks are among the most common found in any home. It is also the most extensive kind, since it can affect more areas, and you can hardly predict where the water will end up – it may directly drip down or follow the path of your beams, walls, and other structures near the spot where water enters and end up dripping down a few feet away from where it enters your roof. When it’s the latter, the water flowing from the roof will also trap dirt, debris, and impurities to it as it moves to other parts of your home. All that trapped dirt results in the brown color of the water you’re seeing. Brown water is just dirty water. That’s a relief, isn’t it? There are so many possible causes of ceiling leaks, that’s why it is quite understandable for homeowners like you to panic and be clueless about who to call first to get it fixed. In general, water leakage on your ceiling can be caused by either roof leaks or leaks on your plumbing system. Whatever the cause is, the water dripping from your ceiling is the effect of these two. Even without professional knowledge or experience, it is possible for homeowners like you to make intelligent guesses if the ceiling leak you have at home is due to a roof leak or plumbing leak – you just need to be observant and watch out for certain signs. If your leaky ceiling is directly below your attic, crawl space, or your roof decking, and you’re sure that there are no plumbing lines installed in those areas, roof leaks are your most likely culprit. But if the problematic ceiling is found below another floor, especially if it is directly under a kitchen or bathroom, a leaky pipe or two is the cause of your ceiling leak. If your bathroom and kitchen are close to each other and your ceiling leak seems to be located in the middle of it, it will be difficult to pinpoint where exactly the ceiling leak is coming from. If you recall, we talked about brown water leaking from your ceiling. Again, this is an indicator that the leakage on your ceiling is because of a problem involving your roof. The water from your roof trapped dirt as it moves along your house, and this resulted in the brown color you see. On the other hand, clear water that is leaking from your ceiling indicates an issue with your pipes or other components of your plumbing system above your leaky ceiling. If your ceiling seems to only get leaks during certain situations, it is also a good indicator of what caused your leaky ceiling. Roof leaks are your problem if water seems to drip down your ceiling only after it rains, or while it is raining. This is also the most likely cause if you notice that the leakage on your ceiling only happens during cold weather and when there are ice dams up on your roof. Your plumbing system’s pipes are the issue if you noticed that the leaks are never-ending. Water flows through the pipes constantly, and water that flows through a problematic pipe will also seep through and leak to your ceiling at the same time. But if water dripping down your ceiling only happens every now and then, but not when it rains, you’re looking at a leaky drain pipe. Knowing the likely cause of your ceiling leak will help you determine which professional to call for assistance. Remember, roof leaks need to be checked out by a roofer and pipe or plumbing issues must be seen to by a plumber. But if your roof issue involves ice dams, it also needs to be checked out by ice-removal professionals. Roofers may not have the right equipment to deal with ice dams. And to be on the safe side, you can also get in touch with an electrician to make sure that your wiring have not been affected. 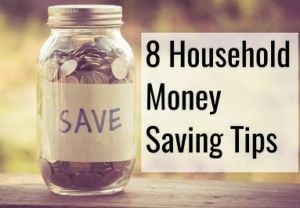 But either way, your roofer or plumber needs to first get rid of any water that has pooled on your ceiling and even the connected drywalls before doing any work to address the leak. The waterlogged section of your ceiling will also need to be removed before doing any kind of repairs. This is vital to lessen the water damage that may happen to your home. The worst spot to have a ceiling leak is below your bathroom. When it happens, you don’t know where exactly is it coming from. Is it from your sink? Your shower? The drains? Or something nastier, like your toilet? We have good news and bad news for you: the good news is, unless it smells nasty, the water leaking from the bathroom is not coming from the sewer lines. The bad news is, the leak has been around for some time if it has affected the ceiling below your bathroom. 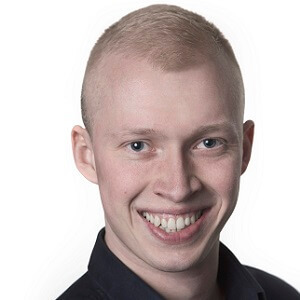 Because of the numerous possibilities, it can be challenging to determine where exactly the leak originates, even for professionals. If the ceiling leak is due to a plumbing issue, it can either be due to your bathroom or kitchen pipes. Plumbers will start by trying to trace the origins of the leak. If the source is not easily seen, the plumber will let the fixtures on your bathroom run one by one, until the source is discovered. Some plumbers also add food coloring to the water while it is flowing to make it easier to find the source. Leaky faucet valve – this is the culprit if the leak from your bathtub is steadily flowing, and repairing this will depend on the severity of the issue. Your plumber may just fix connections that got loose or it may require replacing your whole faucet valve after removing the access panel located behind the wet wall of your bathroom and checking the valves. Issue with your drain trap – leaks will happen when water is flowing in the tub if your drain trap has connections that have loosened up or are corroded. The fix is to either tighten up those connections or replace the corroded metal drain trap assembly with a new plastic one. Problem with the drain gasket – if the leak seems to originate from somewhere in front of your tub, your drain gasket is the culprit. The plumber will need to replace the drain assembly of your drain trap. Corroded water supply pipe – if this is the source of the leak, consider this as an emergency. Leaks from the water supply pipe often flow heavily and without stopping, which can affect the wall cavity of your bathroom. Water needs to be completely shut off by the plumber before commencing work, which may involve tightening or soldering joints or completely replacing pipes. Worn out tile grout – cracks on your tile grout can allow water to pass through, leading to leaks. Fortunately, this can be solved by adding more grout and getting your tiles re-sealed. But if the leak has been going on for some time, it may need to be repaired more extensively. Shower door seal issues – you have a problem with your shower door seal if water sprayed onto the shower door drips down the sealing. To address this, a shower door sweep needs to be installed if you use a traditional shower door or silicon caulk must be placed at the base of sliding doors. Other problems may be present if any of these two does not stop the leak. Caulked seams are in poor condition – just like tile grout, the caulked seals on your shower get worn down over time. When this happens, water can also pass through. Re-caulking your shower seams will solve it. Supply tube or shut-off valve is leaking – problems with your connections involving the toilet’s supply tube or shut-off valve can result in leaks that flow down to your ceiling by seeping through the floor directly below your toilet. Plumbers will either replace the connections between the valve and tube, or tighten them up if they are loose. Wax ring is damaged – your toilet outlet is connected to the drain pipe via a wax ring, and water will leak out if it is in poor condition. A sure sign that this is happening is when your ceiling only leaks when using the flush. If this is the case, you only need to get the wax ring replaced. While you may think of going the DIY-route when it comes to doing some of these repairs, this is something we don’t really recommend. It’s always better to get a plumber to fix the issue because there may be other underlying issues with your plumbing system that only professionals can see. Fixing leaks coming from these sources will also require the same methods mentioned in the previous section. All these may involve simply tightening up connections that loosened up over time, or completely replacing the valves, fittings, or pipes involved. Sometimes, leaks on your ceiling where there are no bathroom or kitchen fixtures directly above it are caused by the pipes running above that specific section of your ceiling. This is often the case for old water supply or drain pipes made out of metal that have corroded sections. If this is the case, it would merit removal of the corroded sections of those pipes and replacing them with new ones. And more often than not, your plumber may have to replace large sections, if not the entire plumbing line altogether. Leakage on your ceiling caused by a roof leak can mean you either have a damaged roof or you have a problem with ice dams. If your roof can still be saved and does not need to be completely replaced just yet, your roofer will just patch up the problem areas of your roof. Your roofer must first find the exact locations of the entry points of the water. This is done either by going up to your crawl space or attic and looking for visible leaks or climbing up the roof and looking for cracks, holes, missing shingles, and other signs of damage. Once the roofer is in your attic or crawl space, visible dripping coming from above will be the one your roofer will look out for first. If this is not present, the next step is to find watermarks, discolorations, or other signs of water damage that can clue your roofer in about the exact path of the water coming from the roof. Your roofer will mark that spot or insert a small object through the hole or crack to make it visible when viewed on the roof. If your roofer doesn’t see any damage on your attic, the leak may likely come from your roof’s shingles, vent gaskets, or roof flashing. To patch up your roof, your roofer will have to climb up, and roofing cement will then be applied over those holes and cracks. This cement will act as a plug that prevents water from re-entering your roof. If the leaks are due to your roof shingles that have been blown off or are damaged, they will need replacing. The entire process is the same for patching up a roof and replacing roof shingles, but only up to the point where your roofer will climb up to do the repairs. Installing a new shingle can be tricky, as mishandling its installation can result to damage to the nearby shingles and even to the roof itself. This is why this task should only be done by professionals. Its installation requires lifting up nearby shingles and the nails that hold them in place, removing the old, damaged ones, sliding the new shingles into position, and nailing them, as well as the ones that your roofer lifted up, in place. If possible, your roofer may choose to just glue the new shingle in its spot using roofing cement. If ice dams are the source of the leak, an ice-removal crew will also need to work on your roof to prevent the melting snow or ice from flowing under your shingles that may lead to more leaks. 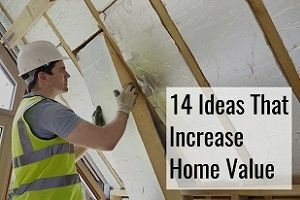 For a more permanent fix, you need to have your attic’s ventilation increased, since this will stop the snow and ice from melting and freezing once again when it reaches the edges of your roof. You also need to make it a habit to get snow removed on your roof regularly to prevent ice dams from forming. 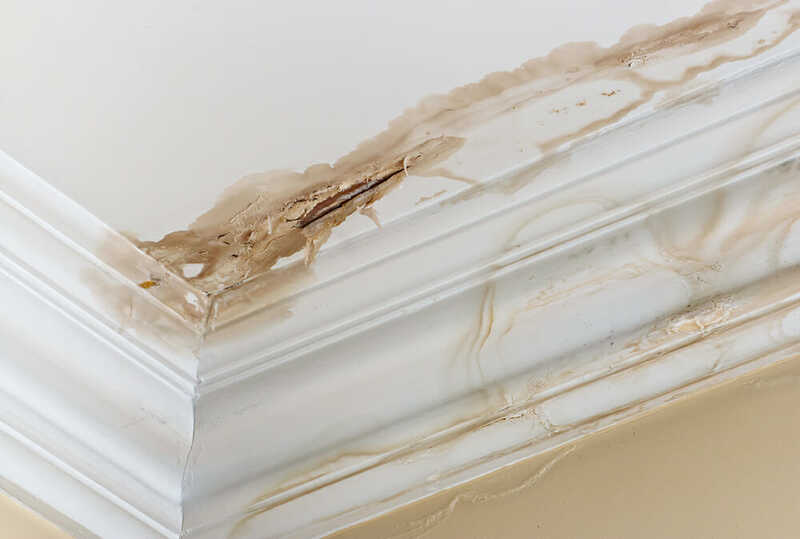 While it is possible for you to address roof leaks from inside your home, you should know that it is just a band-aid solution for emergency situations, such as when the leak suddenly appears during a downpour. Permanent roof fixes are always done on the outside. Once you were able to get the source of your leak addressed by a professional, your next task is to get your ceiling fixed. Unfortunately, it’s not as simple as painting over the water-stained portions. Since your waterlogged ceiling has been removed by your roofer or plumber before doing the repairs, it is best that you leave it as it is for a few days. Allowing it to be exposed will let all the parts that got wet dry up, especially the structures that hold up your ceiling. Not allowing them to do so will trap moisture, which can lead to the growth of mold and wood rot, among others. The same is true if you use drywall for your ceiling. Even if it can dry up on its own when it gets soaked by water, drywall also has the tendency to act like a sponge and retain the water. If this happens, you will have to replace that section with a new drywall. Measuring the square or rectangular section of your ceiling that was removed and getting a new piece of drywall that has the same measurement. Adding a few inches of allowance on each side is ideal if the ceiling hole measures less than 6 inches. Patching up your ceiling will save you money, since only a certain portion will need to be repaired. And if what it would look like afterwards is your concern, don’t worry. Once your contractor is done painting over it, no one would notice where the new piece of drywall is placed. Whether needing to hire a roofer or plumber, any homeowner’s dilemma is finding the right person for the job who would charge fair rates. 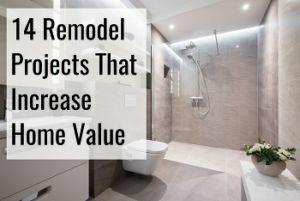 It’s common knowledge that construction and home improvement jobs are pricey, and some contractors take advantage of that fact by charging exorbitant rates. But, what if we tell you that we can help you avoid this situation with hardly any effort on your part, aside of course from filling out our online form? That’s the only thing we need from you! Once you submit your form, just sit back and wait for competing contractors to get in touch with you with their quotes. And since they all know that they have competitors who will also contact you with their rates, they will give you their best offers. Of course, you can still negotiate with them. What would be hard is choosing which tempting offer to pick. But if you are unsatisfied with any of the quotes of those contractors, you can always turn them down – there’s no commitment to it. But, we can guarantee that the rates you’ll get from these contractors are among the most competitive out there in your area. And best of all, this service that we offer is absolutely free!